Wine of South Australia. Grant Burge is an award-winning 5th generation South Australian winemaker. The Burge family have a long association with winemaking in this renowned region, which can be traced back to March 1855. It was then noted tailor, John Burge, immigrated here with his wife Eliza and their two sons Meshach and Henry. 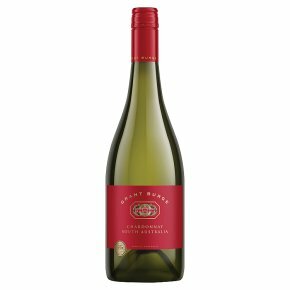 Grant Burge Chardonnay combines aromas of yellow peach and pineapple with hints of butterscotch and crème brûlée. A medium-bodied wine, it has a crisp finish and is a perfect accompaniment to creamy fish dishes, chicken salads, or just on its own.